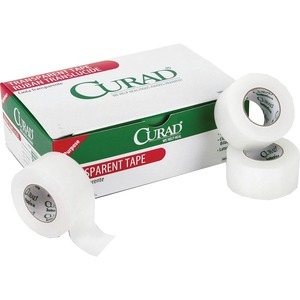 Cloth tape offers a silk-like feel that is perfect for affixing dressings. Hypoallergenic tape is also water-repellent, latex-free and easy to tear. Strong woven construction of Curad Cloth Silk Tape makes this cloth tape durable and long-lasting.